If you want to access hard to reach places, there are a number of things you can do. You can get out your old rickety ladder, or you can use specifically designed access equipment. If you want to choose the option that is easy to use and safe for your team, you need scissor lifts. Whether you’re carrying out maintenance in factories, reaching the highest shelves, or lifting heavy equipment in and out of the back of a truck, the right access equipment can be a very handy tool to have. If you’re considering hiring rather than buying outright, these are the top reasons you should choose Liftech for your next scissor lift rental. We know you wouldn’t be using the machinery if you didn’t need to – but that doesn’t mean investing in quality equipment should cost you an arm and a leg. In fact, many companies, especially start-ups, are missing out on jobs because they simply can’t afford the equipment they need to get it done. With scissor lift rental, everyone has access to the best machinery on the market, without needing to worry about the huge initial outlay. One thing that many businesses fail to consider when investing in big-ticket items is the ongoing servicing and maintenance costs required to keep them up and running. Though this is definitely a must in order to keep them functioning at optimal standard and ensure your worker's safety, it can be a large expense that will always come at the worst times. At Liftech, we’ve invested in state-of-the-art software monitors that track maintenance and ensure defects and faults are repaired long before problems arise. On top of that, our scissor lifts are maintained by skilled technicians in accordance with manufacturer specifications. It isn’t unusual for businesses to be busier at certain times of the year, and far quieter at others. If you know you have a seasonal demand and equipment will only be needed for a short period, rather than turn down lucrative projects due to lack of machinery or invest in equipment that will sit idle for months on end, short-term hire can be the ideal solution. With both short and long-term contracts available, Liftech should be your first point of call for. We stock a range of models that can reach an array of heights with ease, carrying as much or as little as you need. It’s important to consider where you plan on using your lift, however, as different machines are designed for different surfaces. For example, diesel is ideal for outdoor applications and rough terrain. An electric lift however, is designed for indoor use, as they are far quieter and don’t produce any diesel fumes. At Liftech, we pride ourselves on our service and professionalism. We employ a team that is passionate and dedicated to providing the best possible customer service. We choose our staff based on their experience and enthusiasm, making a conscious effort to raise the bar within our own industry to help you raise it in yours. 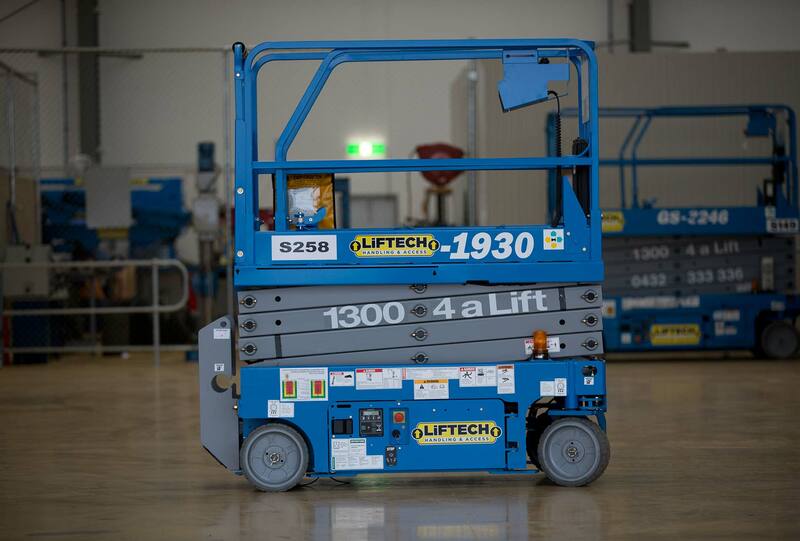 As you can see, scissor lift rental can be a great choice for a range of reasons – especially when you hire with Liftech. We will ensure your experience runs smoothly from start to finish, no matter what project you’re undertaking, so you can get the job done quicker. Contact our team today to see how we can help your business.